David Steele, veteran sprint car driver and USAC National Champion lost his life tonight. He was killed in an on-track racing incident on March 25th, 2017. At age 42, David Steele unloaded for the Southern Sprintcar Shootout Series event at Desoto Speedway. Cumblerland Raceway dirt track is returning from the graveyard. The Maryland dirt track was formerly known as Rock Allegany County Speedway. It opens in 2017 as The Greater Cumberland Raceway. Hidden in the hills of Maryland sits this 1/2 mile dirt track. The 2017 Williams Grove Speedway schedule has been released. It features stops from the World of Outlaws, USAC Triple Crown, USAC Midgets, All Star Circuit of Champions and Super Late Model shows as well. TracSAFE is a USAC initiative aimed at driver safety. The new safety technology was introduced during the Performance Racing Industry Trade Show at the Indiana Convention Center Thursday. The death of Bryan Clauson has me frustrated with dirt car sanctions specifically. INDIANAPOLIS (Monday, Aug. 8, 2016) – Bryan Clauson was happiest when he was behind the wheel of a race car. In fact, the happiest day of his life may have been earlier this year on May 29, when he had his best Indianapolis 500 finish in the afternoon and drove a sprint car to the feature victory at Kokomo (Ind.) Speedway that night. Eagle Raceway 2016 schedule has been announced. Eagle Raceway is a one-third mile dirt track located in Lincoln, Nebraska on U.S. Highway 34. The track is often referred to by some as the “World’s Fastest Third Mile” because of its speed. Tri-State Speedway 2016 schedule as been released at the start of the new year. The Class Track better known as Tri-State Speedway is a one quarter mile high banked dirt oval racetrack and is located in Haubstadt Indiana. 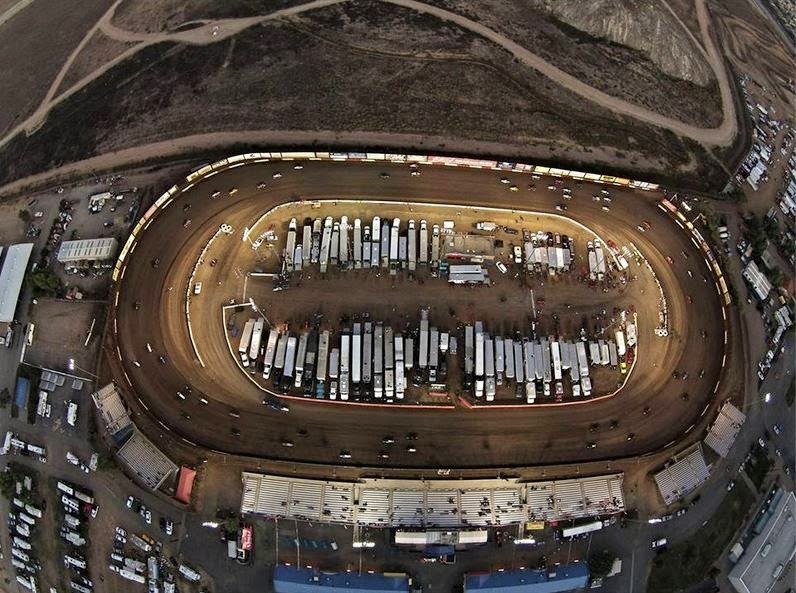 The Bakersfield Speedway 2016 schedule of dirt track racing events have been released. The historic Bakersfield Speedway is a one third mile high banked clay oval that has been home to auto racing in Bakersfield, CA since May of 1946. As Kern County’s premier offering for professional dirt track auto racing waves the green flag for its 2016 season giving the Bakersfield Speedway the recognition of being one of the oldest continuous operating racing facilities on the West Coast. Take a digital look at the Jeff Gordon NASCAR Hall of Fame exhibit showcasing many racecars. The NASCAR Hall of Fame cars on display aren’t just NASCAR Racecars. They have 9 cars on display in total, many of those are Jeff Gordon dirt cars from his early racing career. USAC championships will be on the line Thursday night when one of America’s most traditional and revered motorsport events takes to Perris Auto Speedway. The Annual USAC Turkey Night Grand Prix marks the 74th running http://www.usacracing.com/ of the race which debuted in Los Angeles back in 1934 and has been won by many of the sport’s biggest names. (LONG POND, Pa. – August 1, 2013) – Taylor Ferns is no stranger to making headlines. The 17-year old high school senior from Shelby Township, Michigan is already the winningest female driver ever to compete in the famed USAC Midget Series and is now about to become the youngest female driver in the ARCA Racing Series presented by Menard’s decorated history to tackle the “Tricky Triangle” at Pocono Raceway. (DAYTONA BEACH, Fla. – December 15, 2012) – Taylor Ferns Tops ARCA Racing Series time sheets. The names have changed but the team remains the same. Venturini Motorsports has again topped the test charts at Daytona Int’l Speedway, leading the Saturday morning session.